I think he doesn't seem as old to us as Mikko at that age because of the marked differences in hair volume. We've been beachin' it up around here. That's a verb Mikko coined, and I will now use it liberally. The boys have been wanting to hang out and dig in the sand every day. 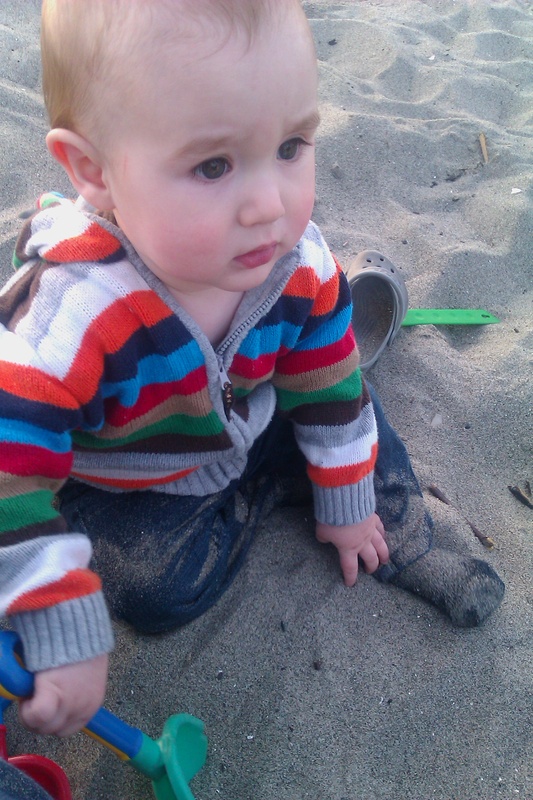 Well, Alrik doesn't express this verbally, but he cheerfully sets off crawling once he's let down on the sand. He digs with the little shovels (whichever one you're trying to use), slithers into any hole you're trying to dig, smashes through any castle you're trying to build, and then scoots away on grand 11-month-old adventures. At least he's stopped eating the sand. Speaking of 11 months. I had to emphasize that while I can, because: Tomorrow — tomorrow! — my baby turns ONE. "Not that you’d know about this, but African and indigenous South American women have been wearing their babies in wraps on their backs, and breastfeeding their kids through early childhood for centuries. And many modern single moms, out of necessity, have been co-sleeping with their children through late childhood years since forever. However, when a world renowned doctor and parenting expert Dr. Sears assembles those practices along with 6 other steps for growing confident children it is called “Attachment Parenting,” making news and going viral. It also gets a coveted TIME magazine cover." So much good information here. So many linked resources. I can’t even pick out what I like the best. Please read and absorb it all. Thank you. I don’t want her to hear these stories and know me as an individual only in the past tense–what I used to do or who I used to be.Beyond a stay-at-home mom, who am I now? I am not being oppressed by my parenting style. Thanks for your concern but you are missing a key piece of the story. You see; I am not solely responsible for building and maintaining my child’s sense of attachment. Exactly. Attachment parenting wasn’t meant to exist in a vacuum of one isolated mother and her children. It’s a natural child-raising culture, but it reflects the millennia of how parents raised their children only if the village is intact. On the one hand, having been plenty isolated myself, I totally sympathize with parents who find AP hard due to lack of support. On the other hand, refusing to acknowledge the role that other trusted caregivers have in AP (particularly partners, who I think get the shortest shrift in these conversations) just reinforces those silly modern stereotypes that parenting is meant to be done alone. Ah, I love e.e. cummings. What a beautiful birthday tribute, and poetry break. whatever’s living will yourself become. Carnival of Tandem Nursing — due May 22 (Mommying My Way) — and check out my (our) picture! Diaper Your Child for Free – Or Very Close To It! 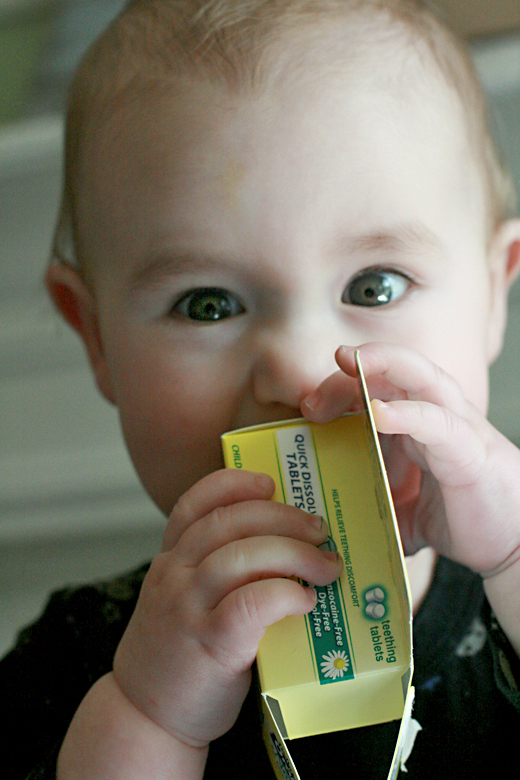 A review of a new homeopathic teething solution and a chance to win $100 to Target just by answering a simple question! 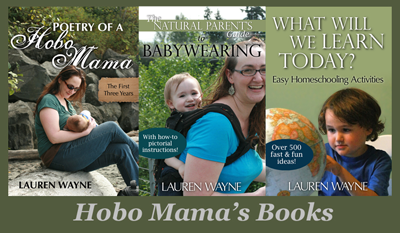 Find more giveaways at my Natural parenting giveaways linky! Add your own, and enter some good ones. Wordless Wednesday: First birthday for Alrik! 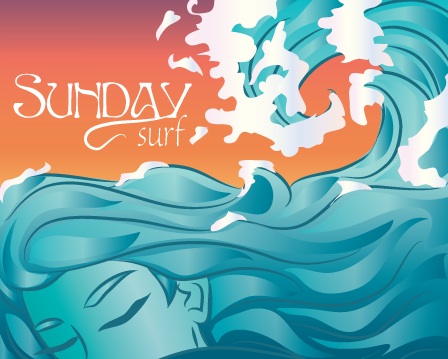 Sunday Surf: Happy Mother's Day to all of us!